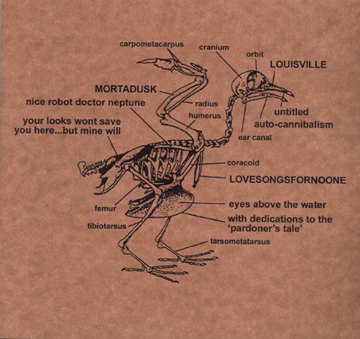 First release to Out of the Oven in support of The Freaky Jesus Bird Tour during the months of March and April of 2003. It was recorded during the month of March by Grand Master Carl W. Bleke purposely trying to capture the rawness of punk-RAWk by only using two channels to obtain its unique sound. Note: Due to the high demand of this split, we will be re-releasing it as soon as we run out of the limited supply we have left.